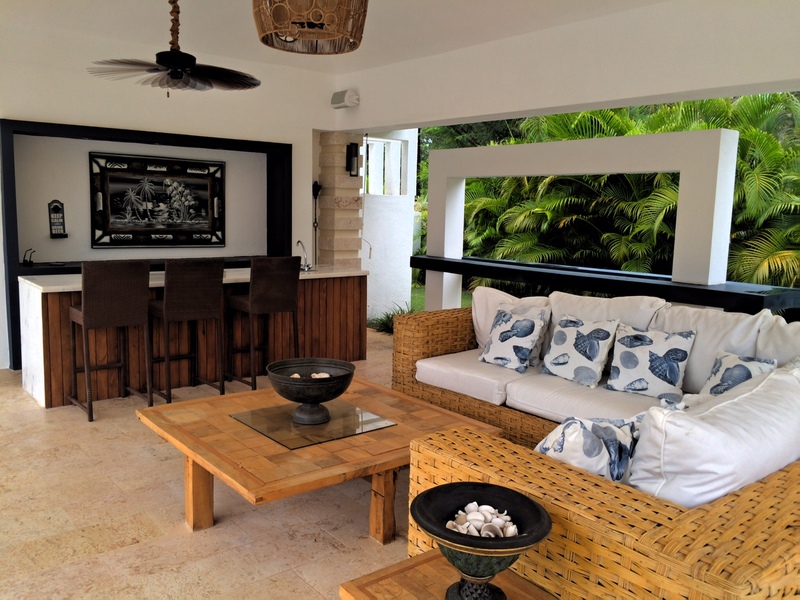 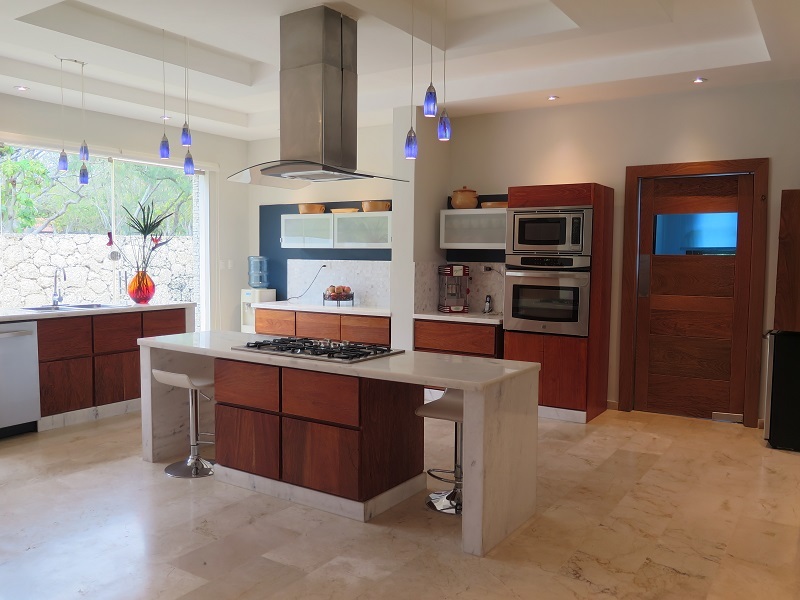 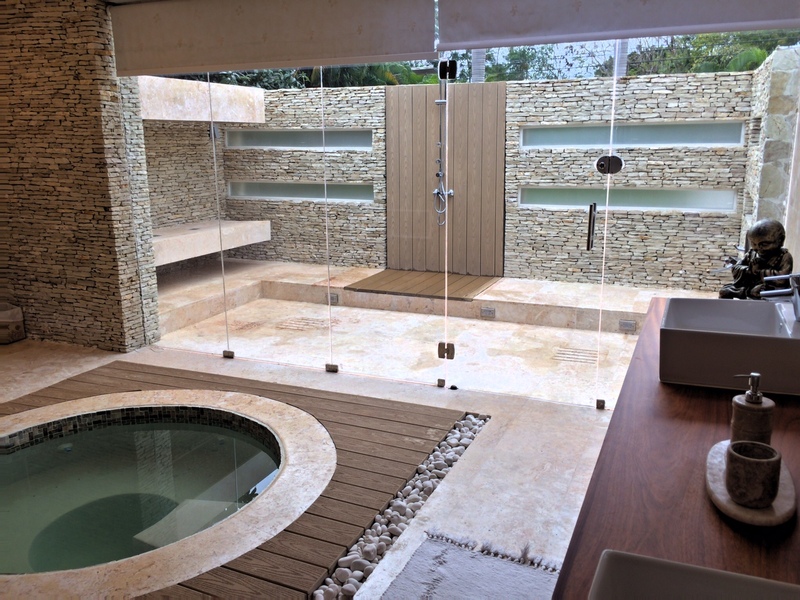 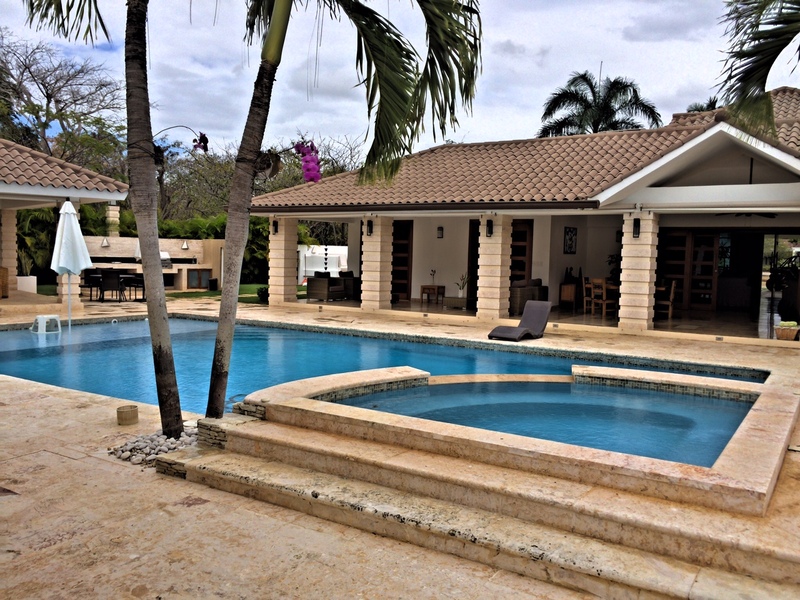 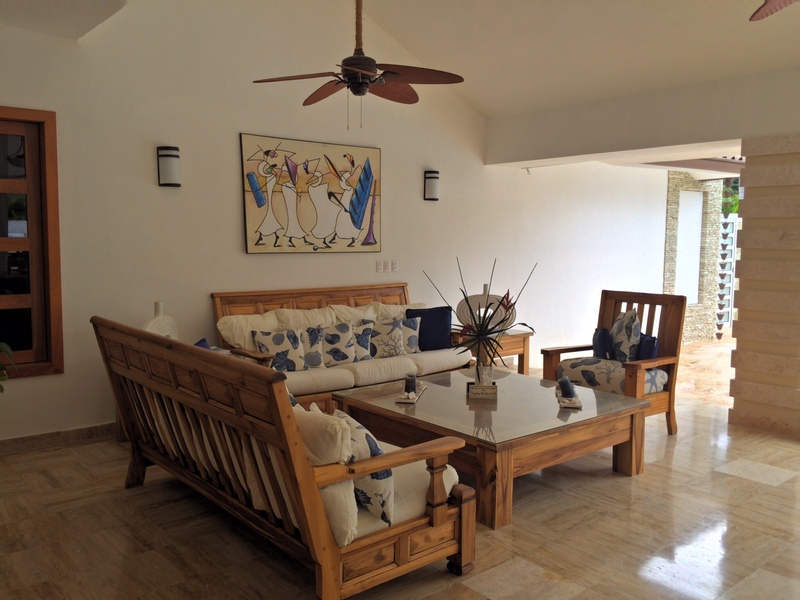 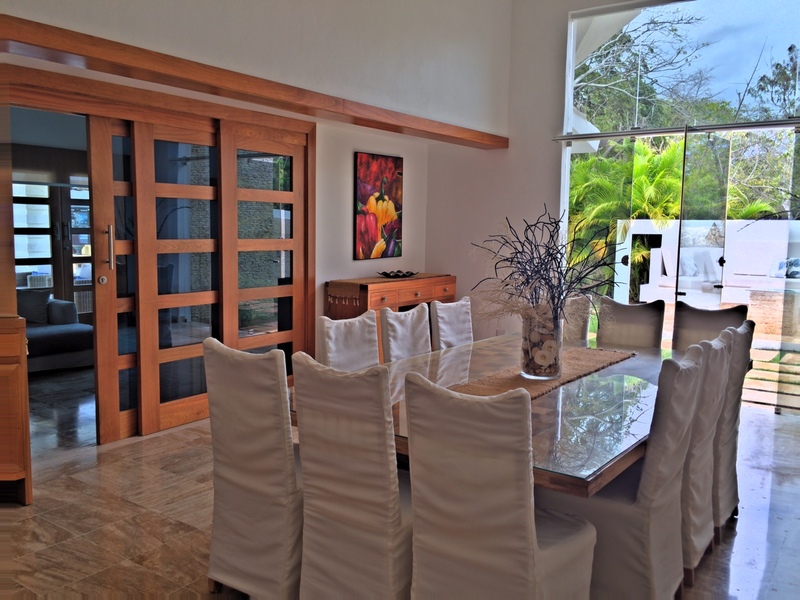 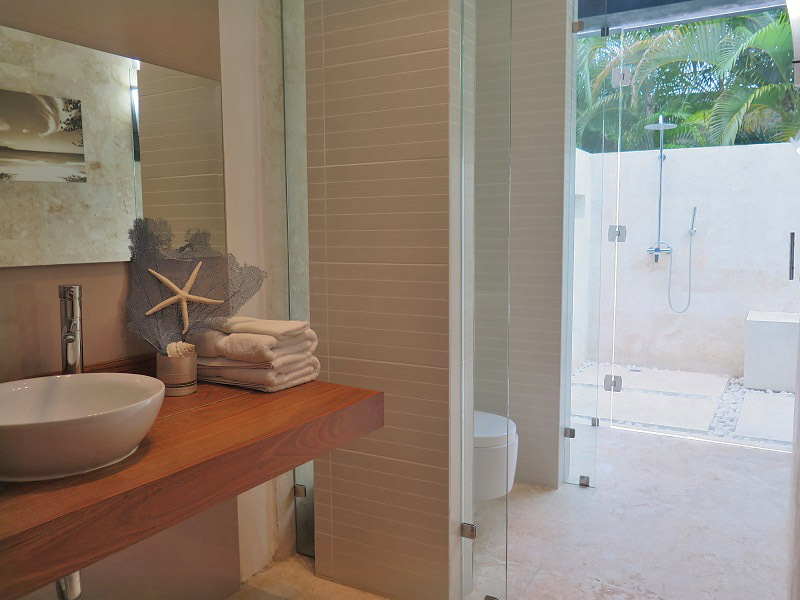 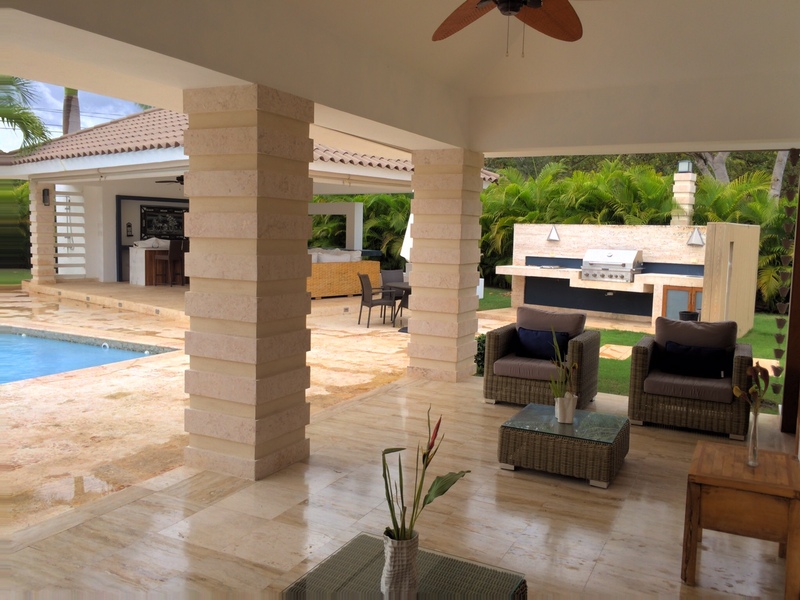 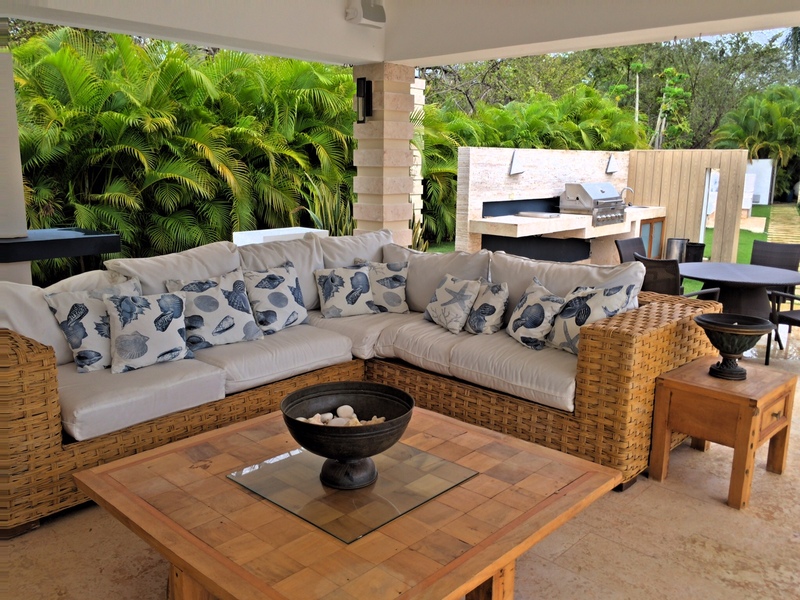 Contemporary4 bedroom villa, walking distance to the private Playa Minitas Beach. 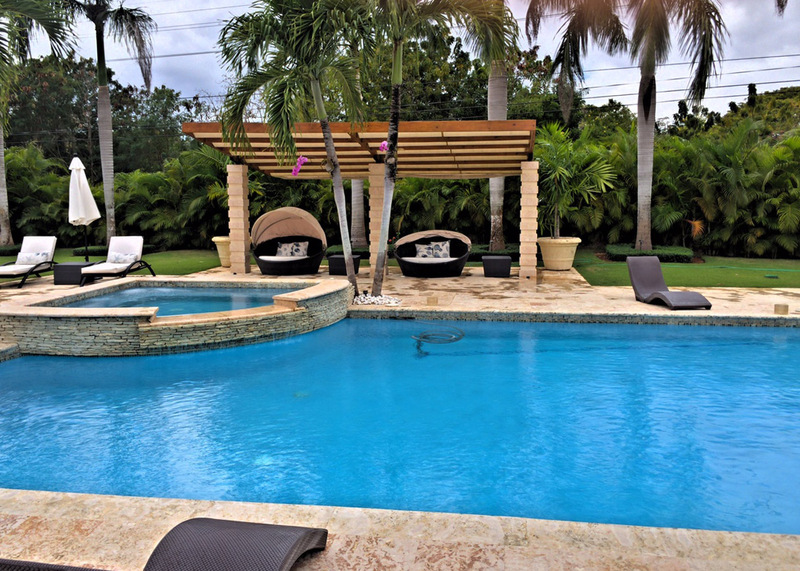 Great pool with large terrace and nice gazebo to enjoy the shade. 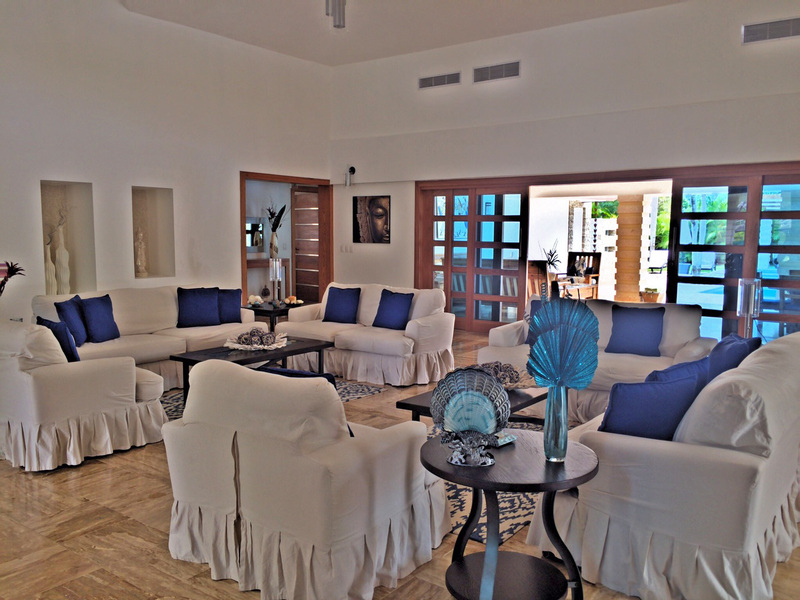 Large living room with dining rooms. 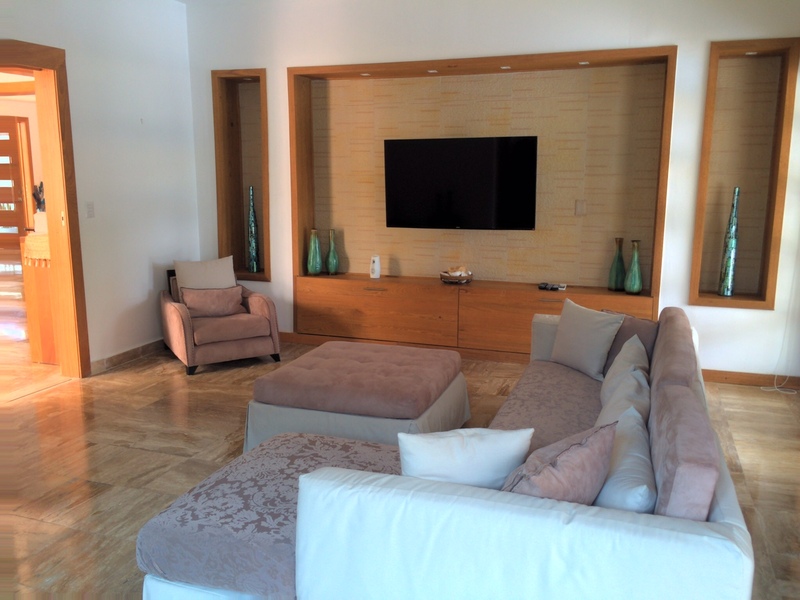 Separate TV room. 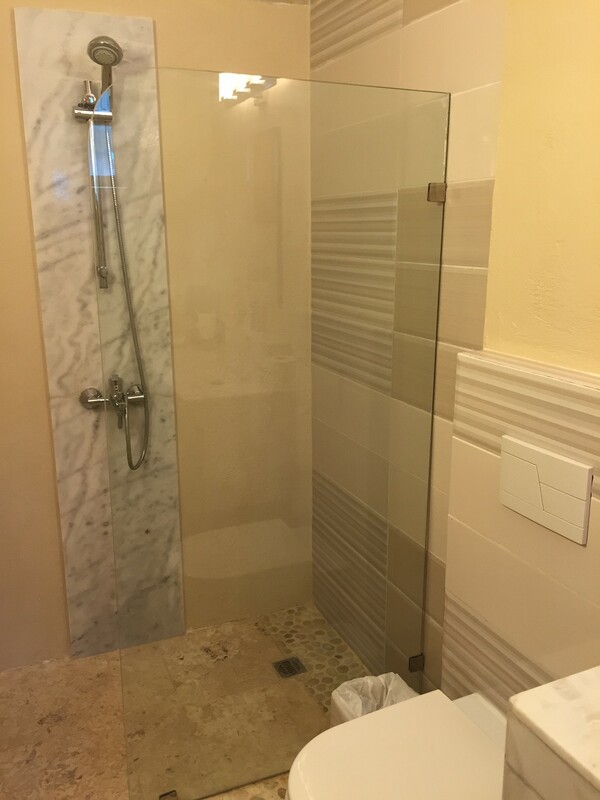 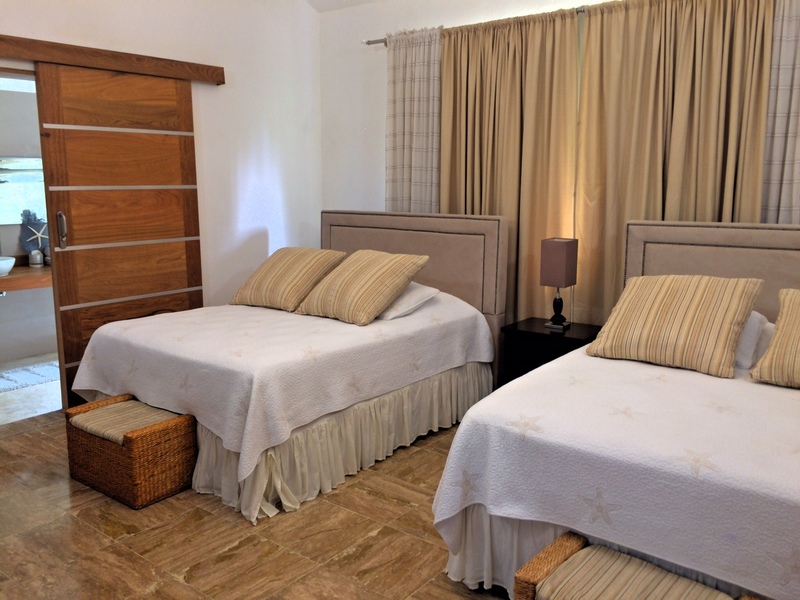 One master bedroom and 3 guest bedrooms with ensuite bathrooms.The master bedroom has a great jacuzzi, the other bathrooms have in and outside showers. 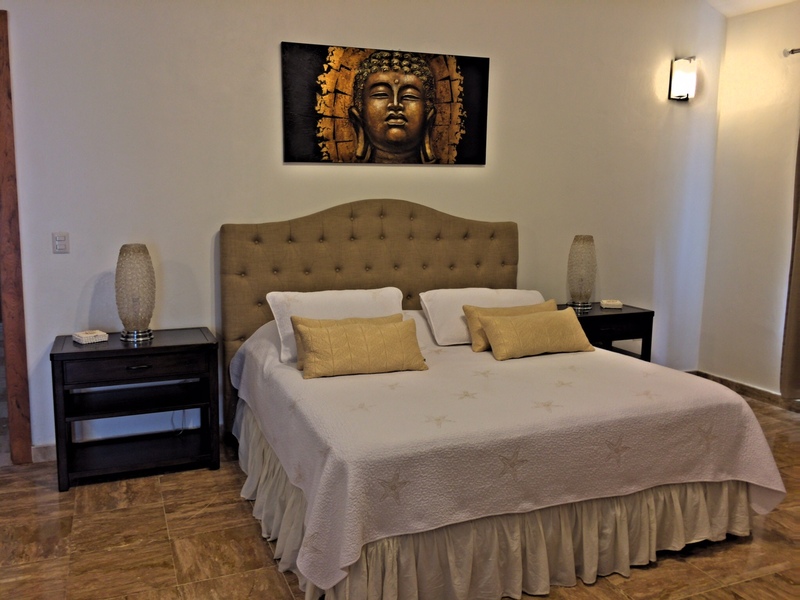 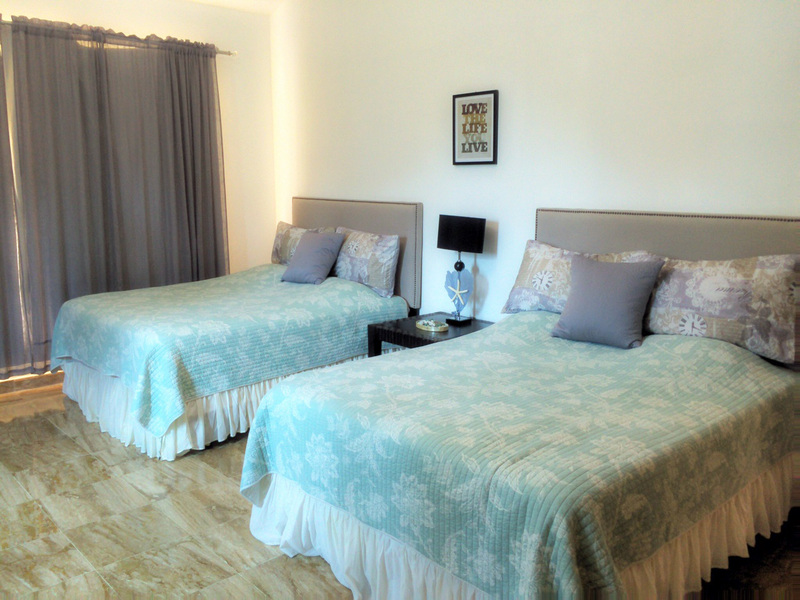 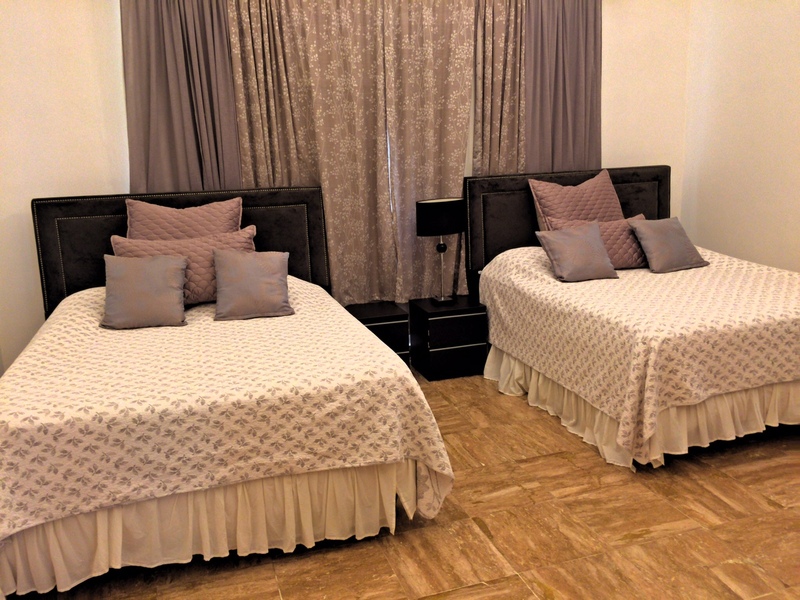 1 master with king bed, 3 bedrooms with 2 double beds each.